I dn't think there are supposed to be NPCs there either way. The issue is still there in 10.1. Unless there's a newer one to test? 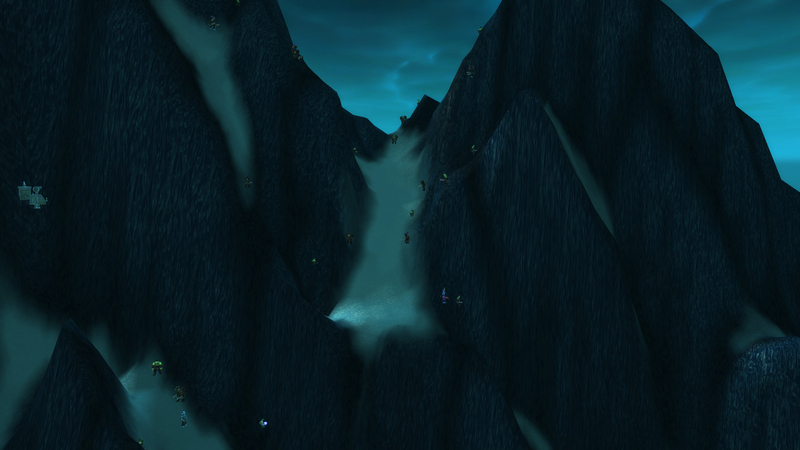 It's somewhere in the mountain area between the Argent Tournament and Sindragosa's Fall, top-right quarter of the map. It's a very large number of NPCs falling from the sky when when you get close enough so it's not easy to miss. If you fly from the Argent Tournament area towards the center of the map, you will fall into them. Last edited by Tasoulios; 02-13-2019 at 02:53 AM.